I was searching for a relevant title that would complement my story and this quote was tailor-made for it. A writer never dies; he lives through his words in form of stories and poems. Perhaps this is the only way to become immortal. If someone has really loved you from the depths of heart, the person will live forever through your words. For me, my love is my inspiration, my muse who will go on to live forever, everywhere in the pages of my written materials. In this exclusive article, I am throwing a light on some tragic romances of popular authors who never found the happiness they deserved for. Jane Austen & Lefroy – The genre of rom-com begun with Jane Austen’s novels – Pride & Prejudice, Emma and Sense & sensibility. Though Jane Austen succeeded to become a best-selling author of her times, but Jane was deprived of her love in her personal life. The inspiration for ‘Pride and Prejudice’ and the character ‘Darcy’ came to Jane after meeting Thomas Lefroy, a young man aspiring to enter in world of politics and law. Though Lefroy and Jane courted, but the affection was destined for a short span. A certain set of unfavorable circumstances and class differences forced them to separate. At the time of their courtship, Lefroy was a struggling law student and Jane Austen a writer in making. Though Lefroy attempted to wed Jane, he was not in financial position to feed his family. Thus Jane decided to sacrifice her emotions to let Lefroy succeed as a judge. Jane Austen later went on to become a popular author and Lefroy a successful judge. Though Jane breathed her last on 18th July 1817, her love ‘Lefroy’ became immortal through the character ‘Mr.Darcy’. 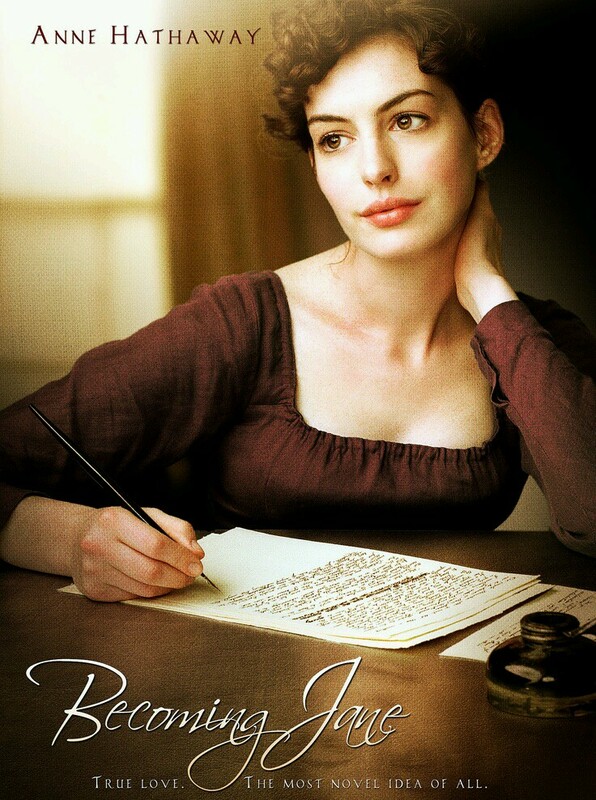 To know more untold romance of Jane Austen, do see the 2007 movie – Becoming Jane featuring actress Anne Hathaway as Jane Austen. Both were diverse in characters. John was an introvert while Fanny was a care-free, tomboy type aristocratic girl who loved flirting. Despite of such diverse natures, they fell in love with each other. But their love was not destined for happiness. John’s untimely death due to tuberculosis at tender age of 25 left Fanny depressed. John did live in the letters he specially wrote for Fanny during his last days. Fanny preserved the letters that John had written for her. John’s works never got the deserved recognition while he was alive. Ironically his works got popular posthumously. Though Fanny and John were not destined to stay together for a long span, his emotions for Fanny became immortal through his poem ‘Bright Star’ and his love letters. To know more about their love story, do watch the 2009 romantic Hollywood movie – The Bright Star. Charles Dickens and Nelly Ternan – Charles Dickens’ affair with an actress was the famous infamous episode in his life that was well guarded and hidden from the world. Very little is known about this story which became an inspiration for author Claire Tomalin. The book by Tomalin was titled ‘The Invisible Woman’ which threw a light on the dark phases in life of Dickens. Dickens popularity as author was attracting lot of attention and Nelly Ternan was one of them. The 18 year old actress was attracted to Dickens’ writings, ideas and his persona. There was a huge age difference between Dickens and Nelly. 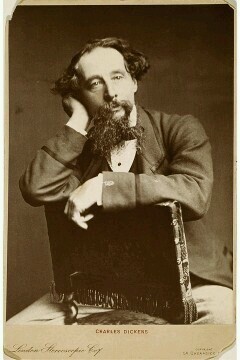 Since Dickens’ wife never showed her likings towards literature and writings, Dickens found that admiration in Nelly who had fondness for literature and books. She became his secret mistress. But destiny was never in favor of this love. Nelly got pregnant from Dickens’. But misfortunes were high on their relationship. Nelly’s child died during birth. Since Dickens couldn’t accept their relationship in public, Dickens and Nelly got separated forever. Though they were separated, Nelly still loved Dickens and remained his secret mistress till the death of Dickens in 1870. World lost a great figure in literature who introduced the readers to David Copperfield and Oliver Twist. Nelly later got married. But she never let the world know that she was once a mistress of the great Dickens. Rabindranath Tagore and Kadambari Devi – Even in poems and short stories of Tagore, his sister-in-law ‘Kadambari Devi’ found a great place. Kadambari was the muse of Tagore, an inspiration which took his writings to great heights. But unfortunately after the marriage of Tagore, Kadambari committed suicide in mysterious circumstances. Tagore had lost his inspiration and a soulful companion who was his best friend since their childhood days. The short story ‘Broken nest’ was based on bonding between Tagore and Kadambari Devi. The family and society never approved of affection between Tagore and Kadambari. Though Tagore went on to become a great figure in Bengali literature, but he couldn’t forget Kadambari who motivated him to become a writer. Lefroy, Fanny, Nelly and Kadambari are forgotten. Lefroy became immortal as Darcy in Austen’s novel – Pride and Prejudice. Fanny became a bright star through the poems written by John Keats. Nelly Ternan always loved Dickens till the last breath of her life. Kadambari Devi lived on forever through short stories written by Tagore. Memories never let the love die. It lives forever somewhere in the page of dusty books once written by a lover to his beloved. I totally echo, it’s a great write up. All 3 romantics are great, but specifically liked “Invisible women”. Will try to grab a copy.